Moving to the other side of the street, to another part of the country, or just to another building is significant for any company. You probably did not have to move often. If you have to do this now, there are some things you need to know. Then you will make that process go as smoothly as possible. One of the things that can help is hiring movers. Commercial movers in New Jersey offer various services to make moving your business quick and stress-free. But, is hiring professionals a good choice? Or should you maybe do it yourself? Many people believe that they can finish the office move without anybody’s help. Of course, when they are moving to a different state, nobody wants to take a chance. In that case, hiring long distance movers NJ is something everyone needs to do. But, when it comes to a short-distance move, some companies decide not to hire anyone and to do it on their own. 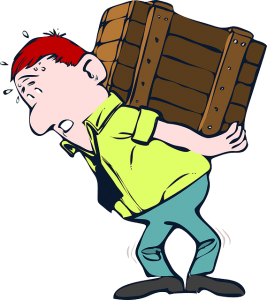 So, what is better when moving your business? 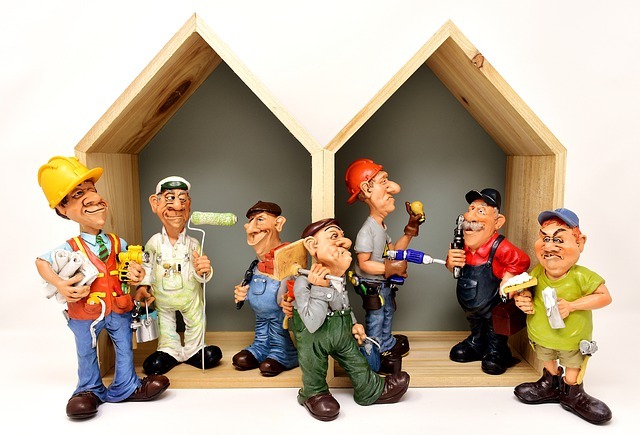 To do it yourself or to hire professionals? There are some questions you need to answer before moving business. What time is best for moving? Are there seasonal fluctuations, or other factors that can have an effect on this decision? How much will it cost to move? What percentage of the work are you and your employees going to do? How will this affect employees? What effect will it have on the total performance? These issues you should resolve during the earliest stages of planning. Experts advise choosing a leader and a moving team – at least three months before the actual move. The management of the moving budget is the most important aspect. Experts advise making the managers of individual sections responsible for their individual budget. Subsequently, it will bind their expenses to the report of the general manager of the budget. Experts emphasize the importance of detailed planning and indicate that most of the troubles in moving are due to insufficient planning. However, they admit that even in perfectly planned business moves something goes wrong. For this reason, they strongly recommend engaging the entire staff in the process of moving – from the initial solution to the final stages. Employee participation opens the door to more creative solutions – during every stage of moving while improving the moral situation and the productivity of the staff. Preparation for office move is a good time to get rid of outdated documents, as well as archive old reports. You can also get rid of other materials that you no longer need. Take as much time as possible, because it always takes more time than you expect. Additional benefits: the more documents you throw or archive in other places, the more you save when you move. The decision regarding office furniture is also part of the moving process. Along with buying a new one, you should think about restoring the current furniture or looking for what has already been used. You can buy even the most specialized systems inexpensively. If you decide to get rid of old furniture, consider donating instead of selling. This will save effort, and in addition, entail a reduction in taxes. So, should you do it all yourself or hire professionals? If you need to move only a small amount of equipment – consider the possibility of renting a truck and self-moving, or hiring loaders. Other opportunities include hiring professionals, companies for interstate relocation, or hiring small local movers. It all depends on your specific requirements. The best way to find qualified movers is to ask for advice to companies like yours. Also, look through the Internet, but do not forget to ask if they provide the insurance of the cargo. Experts emphasize the need for a thorough check of the companies you are going to work with. Always refer to the references. The purpose of the references is not only to make sure of the reliability of the company but also to obtain valuable ideas. People who provide references have already moved the business, and their advice and ideas will be priceless. Moving companies will also serve as a valuable resource for the movement plan and other innumerable details. For example, if you have to move an office communication system, such a company can provide the best prices for dismantling and installation – in comparison with the original equipment supplier. Why is hiring professionals when moving your business a better choice? Imagine the following situation. You decide to do everything yourself. You find the packing material and pack everything safely. Well, at least you think it is safe. Finally, you put all the stuff in a rented truck and move your business. And then, after you unpack in your new office, you realize that some very expensive equipment is broken or damaged. What to do then? Who to blame? How to compensate for losses? Or maybe you pack everything and come to the new office, and then see that your office is not ready yet. And you packed everything and there is no way back. What should you do with your stuff? 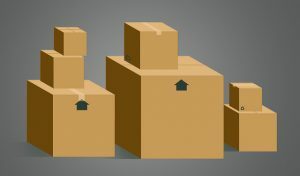 Moving companies will also provide packing materials for moving your business. All of that can be avoided if you hire professionals. All reliable movers NJ will provide professional services and make sure your equipment comes to your new office undamaged. And if it does happen that they break something, they will take the full responsibility for that. You will get the insurance money. Now think about it. Which company would like to give money away? None! They will give their best to move your business safely. 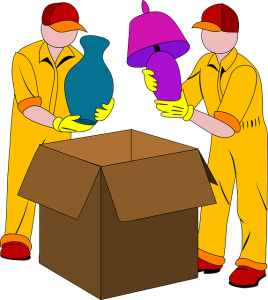 And regarding the second situation, most of the moving companies provide storage services. You just need to ask and find out if there is a possibility to leave your stuff in their units for some time. After you think about all the loses you can have when moving by yourself, you will realize that the only safe way of moving your business is to hire professionals.